A national travelling exhibition visiting Charlottetown Wednesday promises high school students a wide variety of ways to approach innovation. 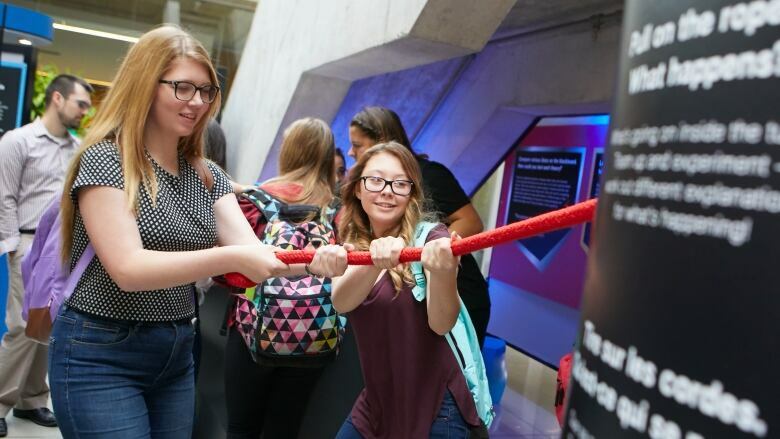 The Innovation 150 Power of Ideas exhibit is designed to help students understand the universe, from the largest black hole to the smallest subatomic particles. "It's really about helping students understand the natural world around them," said Bill Whelan, chair of the UPEI physics department, which is hosting the event. "It's designed to tap into one's curiosity and imagination and there will be lots of hands-on activities for them to do to really test themselves and to engage them in some of the most important science questions that are being asked today." Those hands-on activities include working with 3D printers and coming up with ideas for iPhone apps, and then actually creating those apps. Students from 10 Island high schools will visit the exhibit. It is open to the public Wednesday from 6 to 8 p.m. The tour, part of Canada 150 celebrations, is visiting more than 100 communities.